Paul Skinner; Mark Hughes, Noel Haverty (Pat Flynn 80), Mark Rossiter, Conor Powell; Philip Gannon, Kevin O'Connor (Daniel O'Reilly h/t); David O'Sullivan, Kealan Dillon (Jamie Mulhall 74), Kaleem Simon; Josh O'Hanlon. Brendan Clarke; Ger O'Brien, Shane McEleney, Darren Dennehy, Ian Bermingham; David Cawley; Graham Kelly, Mark Timlin (Keith Treacy 53); Conan Byrne, Christy Fagan (Dinny Corcoran 80), Billy Dennehy. 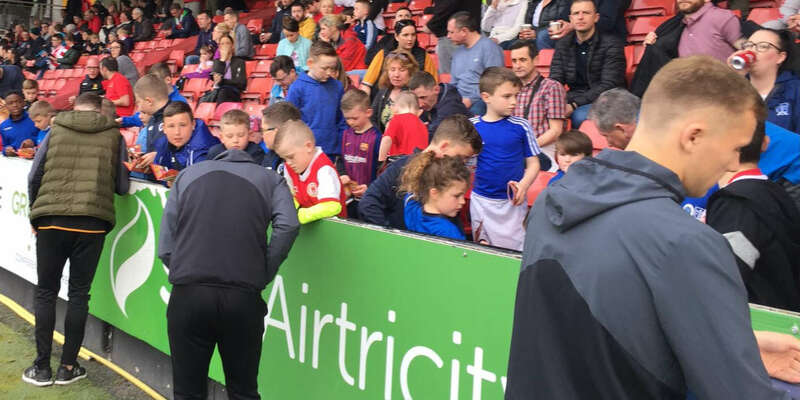 Powell as Christy Fagan got St Patrick's Athletic's season up and running with the only goal of the game at the City Calling Stadium. The result was harsh on Longford, who were well in the game in that first half. 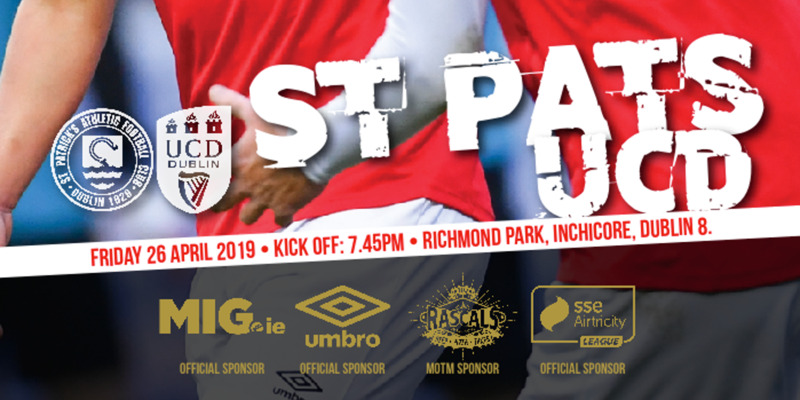 Guilty of poor defending in their home defeat to Galway last week, St Pat's were again most nervous at the back early on as Town might have scored twice in the opening minutes. Darren Dennehy got his body in the way to block a shot from Noel Haverty from a Kaleem Simon corner on four minutes. 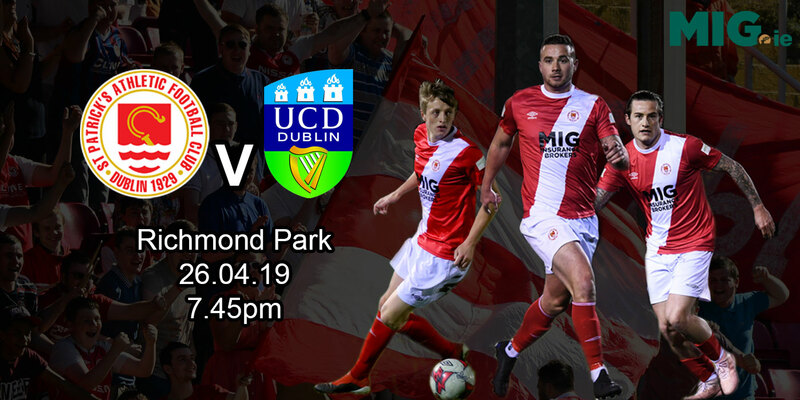 Two minutes later, central defender Haverty was up in attack getting a touch to Philip Gannon's long ball to direct his effort wide, as Brendan Clarke and Shane McEleney got their wires crossed in coming to clear the danger. St Pat's overcame those early jitters to settle with David Cawley heading over the top from a Billy Dennehy corner on 15 minutes. But further loose defending back at the other end gifted Longford a clear-cut opportunity nine minutes later. Kevin O'Connor's cross ran for Simon at the back post. He failed to hit the target, though, as his shot trickled wide across goal. If struggling at the back, Saints came alive at the other end as the half wore on with Ian Bermingham getting forward well on the left to shoot wide. Fagan was then inches off target with a turn and shot after tenacious approach play by Billy Denny five minutes before the break. All Longford's good first-half work came undone in the final minutes of the half when Powell was sent off following a foul on Conan Byrne, his second yellow card. St Pat's owned the ball in the second half, even if they struggled to create chances. That changed 20 minutes in when they got their winner. Conan Byrne's precise delivery from the right to the back post was headed down into Fagan's path by Graham Kelly for the striker to blast a volley past Paul Skinner to the net. Longford might have snatched an equaliser against the run of play on 87 minutes, but David O'Sullivan's shot narrowly wide.